British actor of the stage and screen who was nominated for a Laurence Olivier Theatre Award in 2001 for Best Supporting Actor for his performance in A Servant For Two Masters. 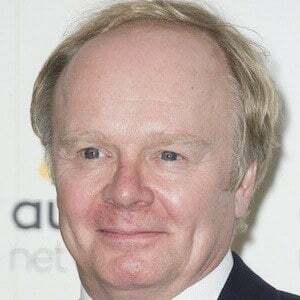 He won two British Academy Television Awards for his role in The Lost Honour of Christopher Jefferies and starred in the 2011-2014 series Trollied. He trained at the Royal Academy of Dramatic Art and became a member of the National Theatre company. He was a guest-star in several television series before earning a minor role in the James Bond film Tomorrow Never Dies. Prominent television roles of his include parts in Being Human, Conviction, Psychoville, Funland and Five Days. He dedicated his BAFTA Awards to his two and a half year old daughter Maude who died of sepsis in 2011. He co-starred in all three of the Nativity films, the first of which starred Martin Freeman.